So it’s going to be that kind of Monday in MMA. Like in life, not all people associated with MMA are decent human beings. Shocker. Then there is Darren Till. We always kind of knew who Darren Till was. Undefeated middleweight fighter who one time knocked out lightweight Donald Cerrone in the UFC. Till is 5-0 in the UFC with one draw to Nicolas Dalby. Then in May, Till missed weight for his welterweight fight with Stephen Thompson and barely won a close decision after five rounds. To be honest, most of the MMA world thought Thompson won the horribly boring point fight. Thanks to that win, Till earned himself a welterweight title shot versus Tyron Woodley Sept. 8, 2018 at UFC 228. Congrats Darren, we should probably learn more about you now. 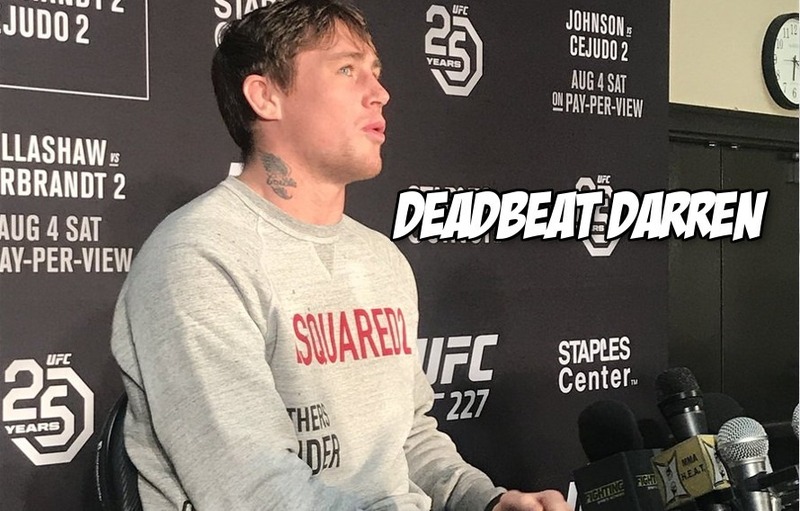 In LA for UFC 227 fight week, Till was backstage at Staples Center and gave some interviews with the media during the event on Saturday. Till started out the interview just fine and even buried Colby Covington, which is always a nice thing to do. Then Till gave the quote of his life without blinking or giving it a second thought. Oh and Till also just kind of admitted to being a deadbeat Dad to his daughter in Brazil while also being a horrible partner to his current pregnant girlfriend in London. Ah to be 25 years-old, a soon to be father of two from two different women, a month away from the biggest fight of your life and just out here saying the dumbest things about manhood/fatherhood.